Thanks for requesting one of our free resources! A link to your download should arrive in your inbox shortly. Are Your Caregivers Prepared to Care for Clients with Alzheimer’s Disease? Here’s your Alzheimer’s Disease Caregiver Challenge! Distribute to measure your Caregivers’ knowledge and comfort level in caring for clients with this common disease. Complete the form below to receive your free download now! A thought-provoking quiz, a summary of the warning signs of a heart attack, heart healthy eating tips and suggestions on how clients can be more active. Many of the diseases suffered by the senior clients you serve are the result of dietary habits, some of which have been practiced for a lifetime. So, how do you help someone with heart disease or diabetes make food choices that support or improve their health? 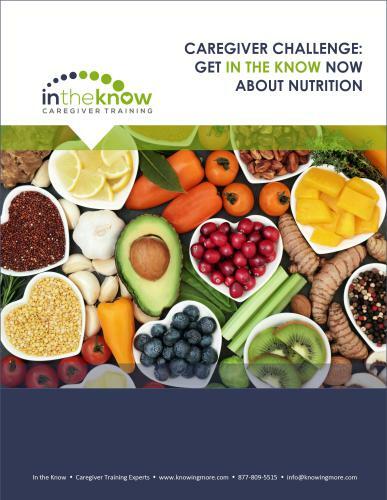 You do it by getting In the Know about Nutrition. A thought-provoking quiz for caregivers, tips on preparing food on a tight budget, and an explanation of common but confusing food labels. Mental health is a vital part of overall health. It affects how people think, feel, and behave. And even though our senior clients often “seem okay,” nearly 20 percent of people over age 60 suffer from some type of mental health issue, such as depression, anxiety, OCD, hoarding disorder, PTSD, bipolar disorder, or schizophrenia. Yet, less than 3 percent seek help for their problem. Take the Mental Health Challenge! A thought-provoking quiz for caregivers, tips on recognizing the signs of depression, and an explanation of how to help someone who may be a hoarder. Are Your Caregivers In the Know about Pain and Common Pain Treatments? 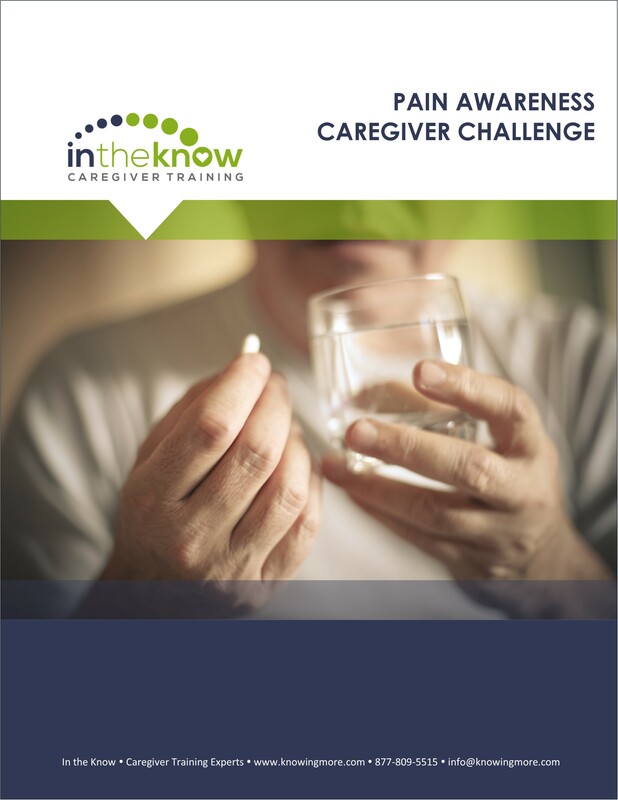 Distribute the “Pain Awareness Caregiver Challenge” to measure your Caregivers’ knowledge and comfort level in helping clients manage pain in safe and effective ways. 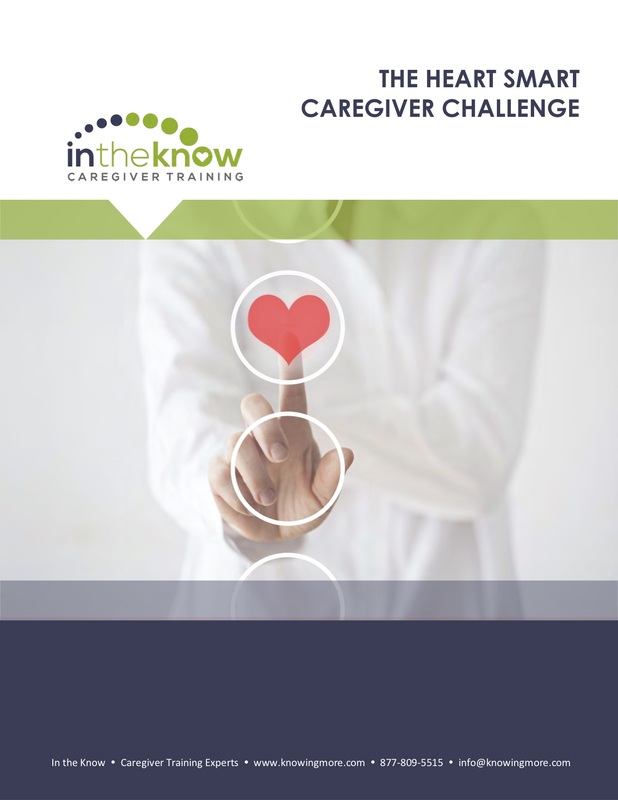 A thought-provoking quiz for caregivers. An explanation of how to recognize drug addiction and diversion in healthcare workers. 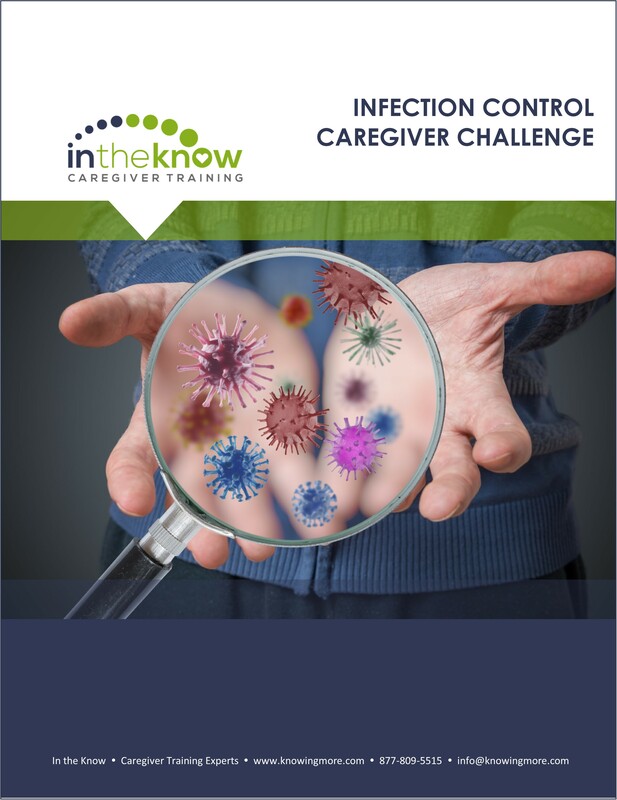 Are Your Caregivers In the Know about Infection Control? Infection control should always be a priority, but with flu season approaching, it’s more important than ever for your caregivers to have the tools they need to keep themselves and their clients healthy. Download the Challenge today! An in-depth look at the symptoms of the flu. Are you making any of the most common orientation mistakes? You go to great lengths to hire the right people. Keeping them is the problem! Most employee turnover happens within the first three months of employment. That means your ORIENTATION can make all the difference! – Avoid the most common pitfalls. – Make your orientation more engaging and meaningful. – Keep the Caregivers you carefully selected from quitting! program for your caregivers? Organizations that build targeted training reap three important benefits that increase their ROI. You want those benefits, don’t you? Well, you can have them all! Download the Step-by-Step Guide TODAY! Are you going above and beyond? You have certain courses you HAVE to give. These are your state and federal requirements. But, it’s going above and beyond those minimum standards that will set you apart from the rest! – Stabilize the Care Environment for Clients. Unplanned caregivers absences occur for many reasons, including illness, child care issues, transportation problems, low workplace morale, stress, and burnout. It’s not enough just to understand WHY your caregivers have unplanned absences. You must also know what to do about it! 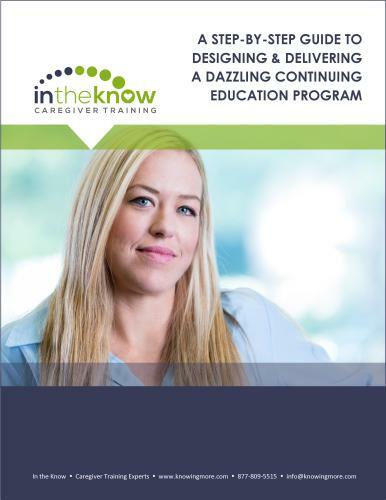 Download this report today for 44 best practice ideas you can put in place right now to reduce caregiver absenteeism! When is the last time you conducted a client satisfaction survey? Better yet, when was the last time you conducted a client satisfaction survey that focused exclusively on the most important part of your business–client care? Download the guide to learn how! A ready-to-use client satisfaction survey tool you can copy and distribute to your clients and a list of suggestions you can take to improve your clients’ experiences, in response to any survey feedback. Is Your Team Ready to Prevent Readmissions? 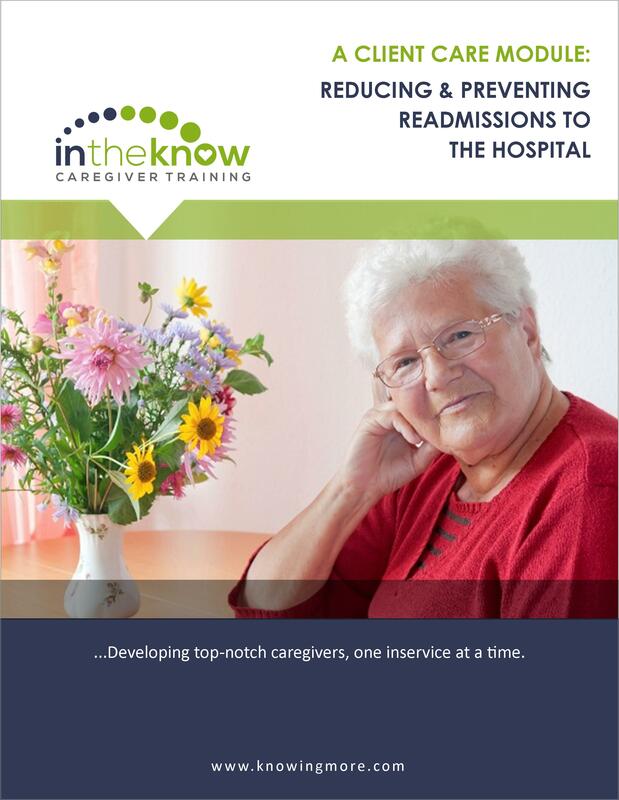 Preventing readmission starts when a patient enters the hospital. Hospital staff do everything they can. But, preventing readmission doesn’t end with the discharge. When the hospital hands off care, the responsibility to prevent readmission lies with the new care team. AND THAT’S YOU! WHY IS RECRUITING CAREGIVERS SO HARD? Recruiting caregivers can feel a little bit like going into Walmart at 4am on Black Friday. There are WAY more jobs than there are caregivers to fill them. And that means competition is fierce! 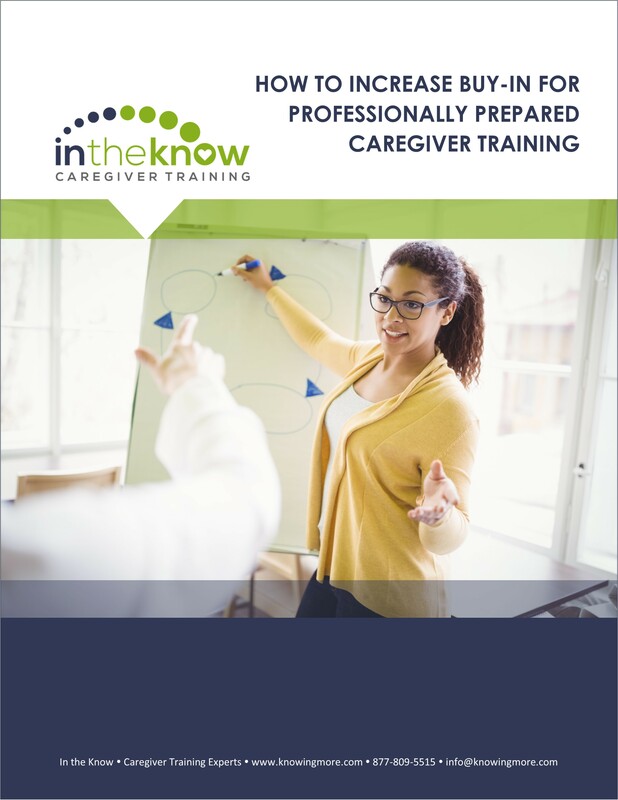 YOU understand the importance of providing professionally prepared caregiver training. And, you may have even chosen the provider you like best. But, how do you get your decision-makers on the same page? 1. Focus on the VALUE training adds to your brand. We did the heavy lifting here! The report gives you a clear path to proving what “VALUE” training adds to your organization’s service. 2. Crunch the NUMBERS to determine the return on investment (ROI). Don’t be afraid! We walk you through finding the numbers for your organization! And, there’s MORE! Download the Report! Why is Caregiver Turnover So High? Most senior care agencies who hire direct care workers need people—and they need them NOW. That leads to hiring anyone (or everyone) who shows an interest and can make it to the interview. But not everyone is cut out for this work. Hiring the wrong people over and over just leads to a revolving door of new hires who come on board, try it out–and then quit! 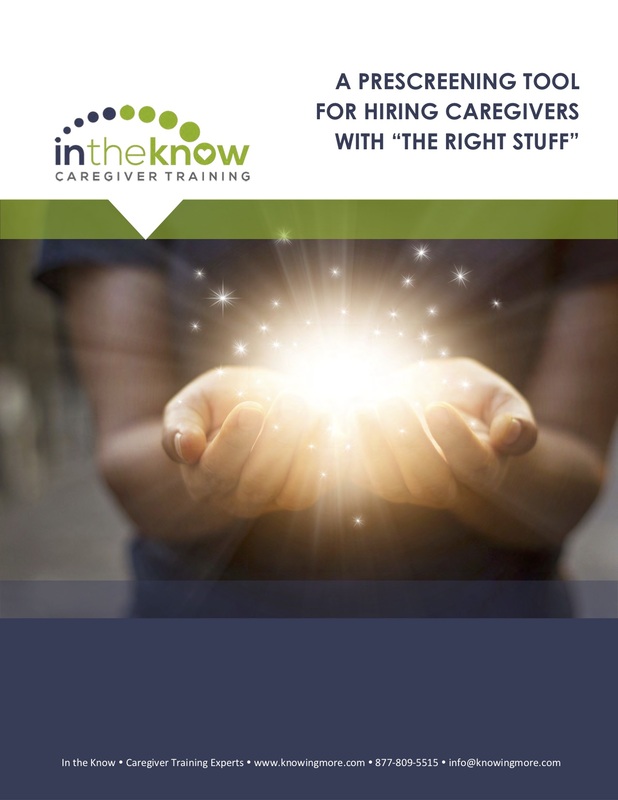 Download the new screening tool to help you find Caregivers with “the right stuff” who are in the business for the right reasons. 1. It lets potential candidates know exactly what they’re getting into. 2. It allows you to assess how applicants may deal with common challenges associated with being a caregiver. Why is Caregiver Turnover So High? Most long term care facilities need people—and they need them NOW. That leads to hiring anyone (or everyone) who shows an interest and can make it to the interview. One million. According to the Bureau of Labor Statistics, that’s the number of new direct care workers required across the country by 2024. But, an average turnover rate of 66 percent and an ever-shrinking pool of applicants has home care and long-term care employers desperate for a solution. The caregiver shortage stems less from a shortage of people who CAN do the work. Rather, it is more a shortage of people who are willing to work under the conditions most caregivers face every day. 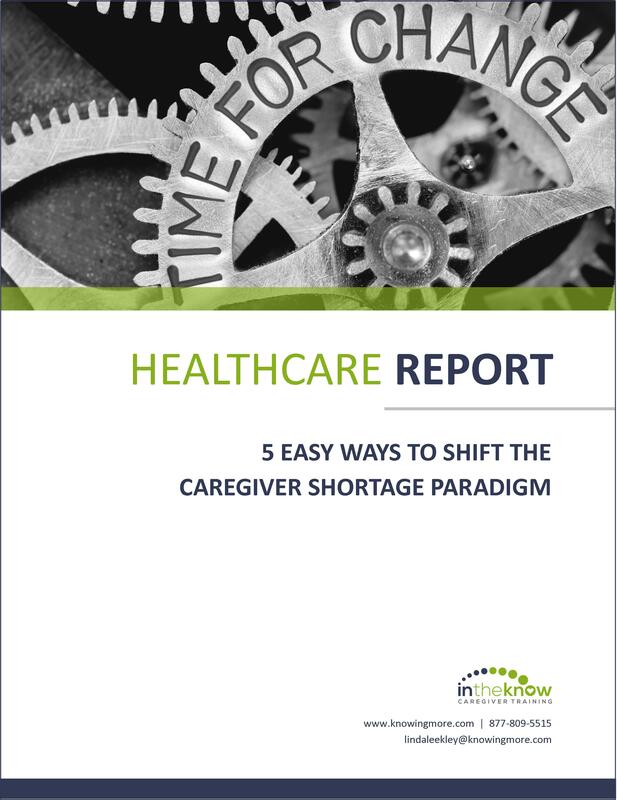 Download 5 Ways to Shift the Caregiver Shortage Paradigm to learn five distinct actions that (when taken together) have the potential to shift the paradigm and create a culture that inspires caregivers to enter, thrive, advance—and stay—in an industry that so desperately needs them. 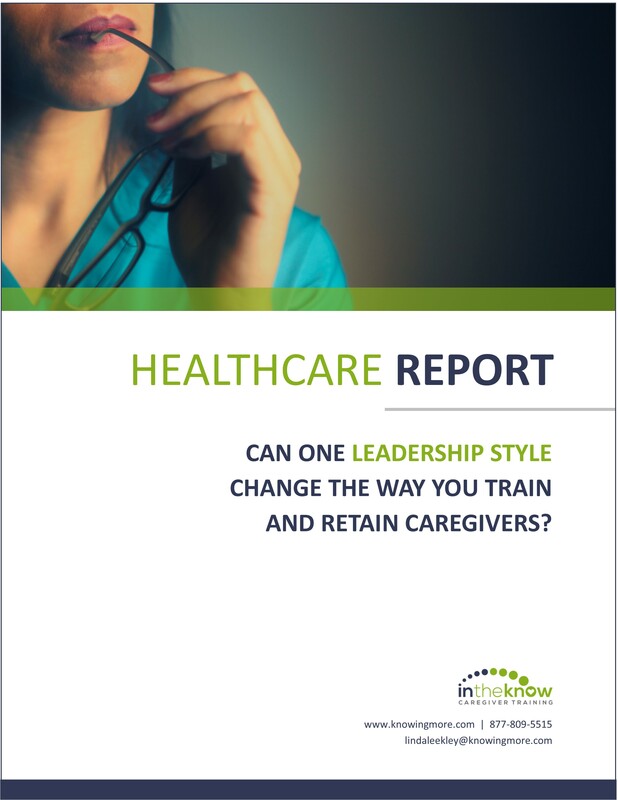 Can One Leadership Style Change the Way Your Train & Retain Caregivers? If there is one thing you can count on in health care, it’s that change and uncertainty are here today — and will continue tomorrow. Organizations who adopt a Transformational Leadership style are better positioned to adapt to changes, innovate new solutions, and remain positive and profitable in spite of growing uncertainty. Why is employee engagement so important? Employee engagement is far more important than you might think. It impacts everything! Studies show that improving employee engagement reduces staff turnover, improves productivity and increases client satisfaction. But more than that, engaged employees have a greater sense of purpose and are generally happier, both at work and at home. How would your team measure up in a “People Skills Inventory?” 77% of employers believe people skills are more important that technical skills! Find out how your team is doing with the People Skills Inventory! 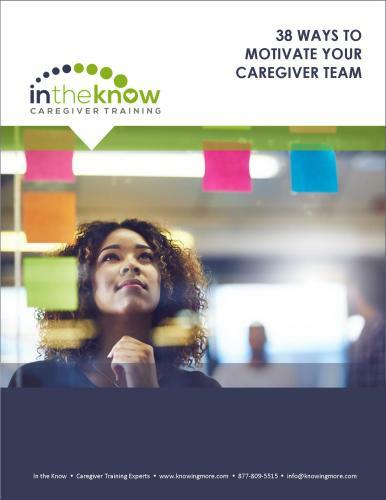 Explore creative ideas and best practices for motivating a strong caregiver team. Your caregivers are the core of your business – make sure you have practices in place to motivate and encourage them in their work. Your reputation means EVERYTHING! It’s what your clients and referral sources say about you when someone asks, “Who do you recommend for home care?” It’s how YOU stand out in a crowded market! What exactly is a Caregiver Specialist? A Caregiver Specialist is a Caregiver with advanced training in a targeted topic that is relevant to the client population he or she serves. 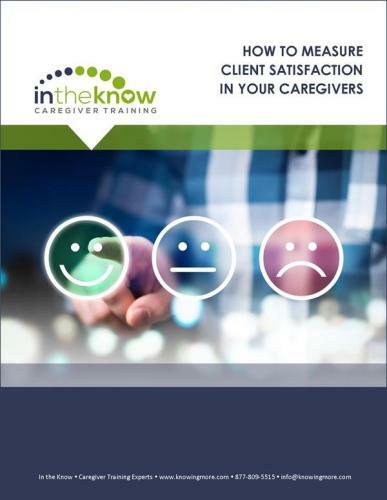 Join us and find out how your organization can improve recruitment, retention, referrals, client care and ultimately, client satisfaction through advanced training for “Caregiver Specialists”. You Can’t Always Get What You Want! So, Create the Team That You Need! Finding qualified caregivers is a huge challenge. You can’t hire just ANYBODY. But now, you can significantly increase your talent pool when you know how to CREATE the team you NEED! 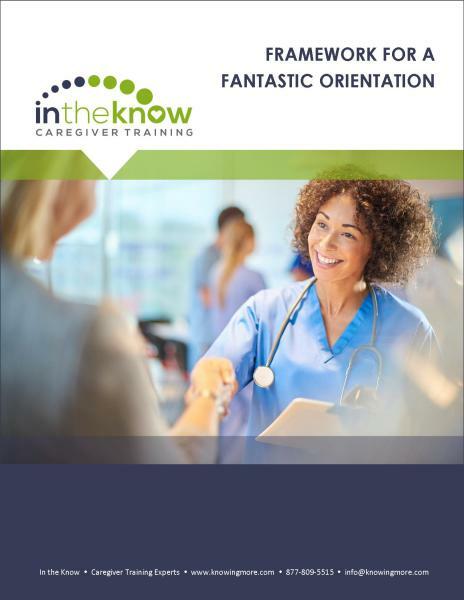 Check out this webinar to find out how your organization can use targeted screening, caregiver certification, professional training and a little inspiration to CREATE the caregiver team you NEED. 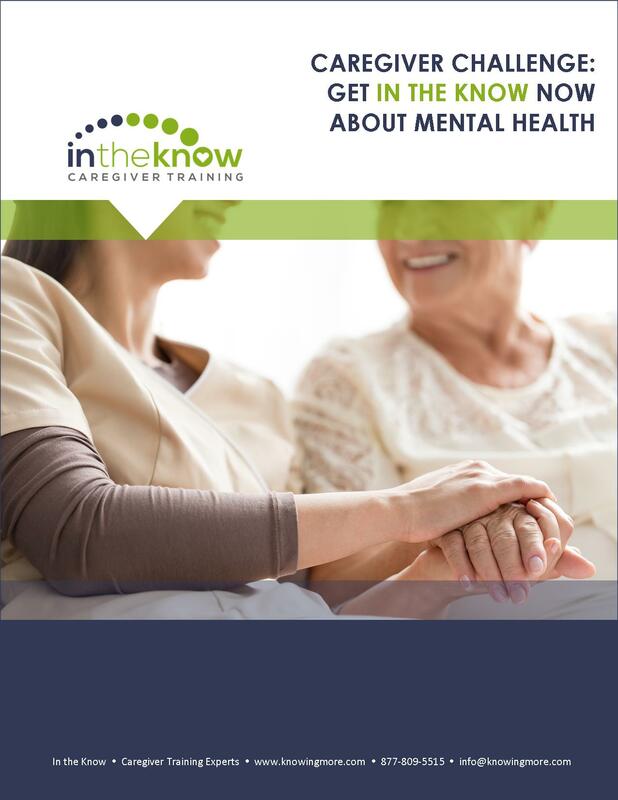 – How to use a targeted screening tool to find the RIGHT Caregivers. – Tips and tricks for a fantastic orientation. 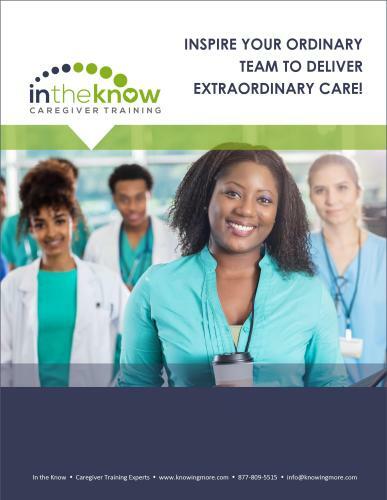 – How to use Caregiver Certification to standardize care delivery. 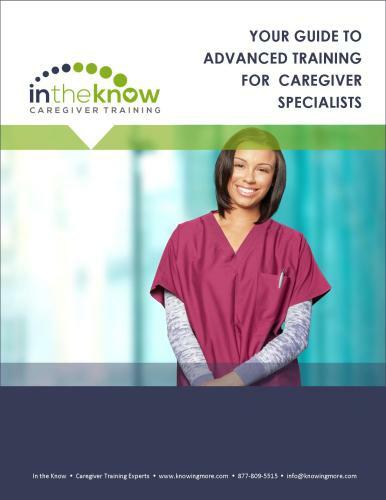 – The importance of choosing professionally prepared caregiver training materials. There’s no doubt that price is factored into any purchasing decision. In fact, the price of home care services is the number one concern for most family caregivers. But price alone will not seal the deal. Your clients want to know what VALUE your agency offers that sets you apart from your competitors. So, how do you sell your agency’s value over price? Join us as we welcome Merrily Orsini, expert home care marketing strategist, to discuss the ever-changing home care marketing world and learn expert strategies for selling home care value over price. Join IntheKnow‘s Linda Leekley as she teams up with Maggie Keen from myCNAjobs to tackle the latest topic in their Data Driven Strategy Series—USING TRAINING TO RECRUIT TOP TALENT. Linda and Maggie will show you how training can improve BOTH recruitment and retention. And, they will give you the tools you need to act now to attract more candidates and make great hires in 2018.